The state of Utah issues non-residents a CFP if a four-hour course of classroom instruction in the Utah CFP curriculum is completed. If you already have a Virginia Concealed Carry Permit, adding a Utah CFP will allow you to legally carry a concealed firearm in an additional 5 states for a total of 33. Click the Groupon Logo to get more info on redeeming your voucher! Innovative Defensive Solutions, llc (IDS), offers a multi-state (Florida, Utah, Virginia) 4-hour Concealed Carry Course of classroom instruction that qualifies you to carry a concealed handgun in 36 out of the 36 eligible states depending on your preference of application submittals. You may apply to all three states for a permit, any combination of states or just one. The choice is yours. The course covers concealed carry laws, as well as, safety procedures and firearm handling techniques. Complimentary fingerprints will be taken and must be included with your Florida and Utah application. Fingerprint requirements in Virginia vary by county / city of residence and are usually taken at the time the application is submitted to the circuit court clerk in your appropriate jurisdiction. Every day more women come to the realization that a criminal assault can happen to anyone, anytime and anywhere. Have you ever wondered what you would do if confronted with a situation where you had to protect yourself or a family member from someone intent on causing you great harm? The fee for 60 minutes of private instruction on the range is $75. (Classroom instruction is additional). The fee does not include range or ammunition costs. Instruction may be tailored to particular needs such as self-defense, competition shooting or improvement of marksman skills. Please email your interests, availability and contact information. You will be contacted in a timely fashion by one of the instructors. -One hour in the classroom, One hour on the range, all ammo ( 9mm, .22lr ; 100 rounds of either OR mixed) all range time included. GUN RENTAL Included. (Glock 17/19, 9mm and Ruger Mark IV .22LR or Glock .22lr conversion) Standard unless otherwise arranged.) Designed for two people. -One hour in the classroom, One hour on the range, all ammo (9mm, .22lr ; 100 rounds of either OR mixed) all range time included. GUN RENTAL Included. (Glock 17/19, 9mm and Ruger Mark IV .22LR or Glock .22lr conversion) Standard unless otherwise arranged.) Designed for one person. Glock cleaning and maintenance, please contact us for pricing and more information. How do you register for a course or find the next available course date? Once you have found a course above that you are interested in taking, click on the calendar link on the top Menu Bar, Navigate through the months until you find a date that works for you. Click on the course name from within the calendar, this will bring up the course info page, at the bottom of that page you will find a registration form for that specific date, fill it out, pay and you are all set. The Fundamentals of Home Defense Handguns Course is designed to educate the student about the handguns that are best for personal defense and how to use them efficiently in the context of a home defense scenario. This course is designed specifically for those new to firearms, but experienced shooters who are interested in learning specifically about using a handgun for personal defense in a home defense environment may also want to attend. Click on the Calendar and click view course for more course specific information and registration details. The Fundamentals of Defensive Carry course is designed to educate the student about the handguns that are best for concealed carry, how to carry them safely and securely, and how to use them efficiently in the context of a Dynamic Critical Incident. Click on the Calendar and click view course for more course specific information and registration details. The Concealed Carry Fundamentals (CCF) course is designed to educate the student about basic laws that relate to Concealed Carry and the use of force, the handguns that are most efficient for personal defense as well as the most efficient carry methods and techniques. The skills that we will teach in this 6-8 hour course are skills that are consistent with the bodies natural reactions to stress in real life scenarios and events. The first half being a seminar/lecture based format in a classroom or gym. 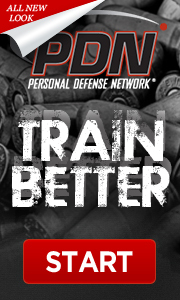 The objective is to get the student educated in context based defensive handgun skills and techniques that work well in the real world vs. skills that are normally taught on square ranges or target shooting type course work. After the seminar lecture is complete we will head to a live fire range and begin with foundational drills and work up to a final scenario that will test what you have learned through the day.